Litematica is a new schematic mod written from scratch, and is targeting light (client-side) mod loaders like LiteLoader on 1.12.x and Rift on 1.13.x. The mod is still under development, and many of the planned "extra" features (for example some of the "tool modes") haven't yet been implemented fully or at all. Currently it's otherwise on feature parity with (and in my opinion in many ways ahead of) Schematica, except it doesn't have the "full/automatic" printer mode yet. The default hotkey to open the in-game config GUI is M + C.
If you have questions or need help with something, the best/fastest way to get answers is currently the #masa-mods-feedback channel on the SciCraft Discord server. The best way to use old schematics, is to create a new temporary, empty world in 1.12, and then use MCEdit-Unified to place the old schematic there, then load that world in 1.13.2 allowing Minecraft to convert the blocks in the world, and then make a new schematic from that world using Litematica. You can also use the "tool item" (by default a stick, change it in the Generic configs) or hotkeys to nudge around the placement. Using the tool, it works by being in the Schematic Placement mode (Ctrl + scroll to change the mode), and then Left Alt + scrolling while looking in the direction you want to nudge the placement. Using the hotkeys it's the same idea, except that you don't need to hold the "tool item" in hand. M + C opens the in-game config GUI. On the Render Layers tab you can switch to for example the Single Layer, or All Below, or Layer Range etc. rendering modes. Also check the available hotkeys for various things on the Hotkeys tab, they have a short comment explaining them when you hover over the name. Thanks for the quick reply, good to know this and tweakeroo will be updated to Fabric, look forward to it. The 1.13.2 version ONLY works on 1.13.2. And there is no 1.13.1 version of the mod, and also never will be due to the Rift environment in 1.13.1 not even being able to provide the decompiled vanilla code... not to mention 1.13.1 just being a more broken and laggy version of the game in the first place, so I have no interest in supporting it. Thanks for the fast reply and the extra explanation. Hey man, great mod! After schematica basicly died I was sad cuz this mod helped me out a ton, so now with this mod, my appetite for the game has been reborn. You can simply put the Optifine mod jar to the mods/ folder and Rift will load it too. So you just need to install Rift to the profile you use to launch the game, and then put the mods into the .minecraft/mods/ folder. As to which Optifine features to disable, those are mentioned on the description page above. It's basically 1 or 2 features that need to be disabled in most cases. In the latest 1.12 dev versions the 'Paste schematic in world' tool mode uses a setblock command based variant when it's used on a server. So yes, in the latest 1.12 versions it's possible already, but in 1.13.2 it will only be in the upcoming version. It will still probably take at least a couple of weeks before I can finish all the missing bits I want in the next version and then get all the latest dev code of all my client mods ported from 1.12 to 1.13.2 again. Edit: Proper server-side pasting support will probably also happen at some point, when I have the time to work on a server-side component for Litematica to help with certain things, like proper pasting support on servers. Is it possible to change schematics directory? 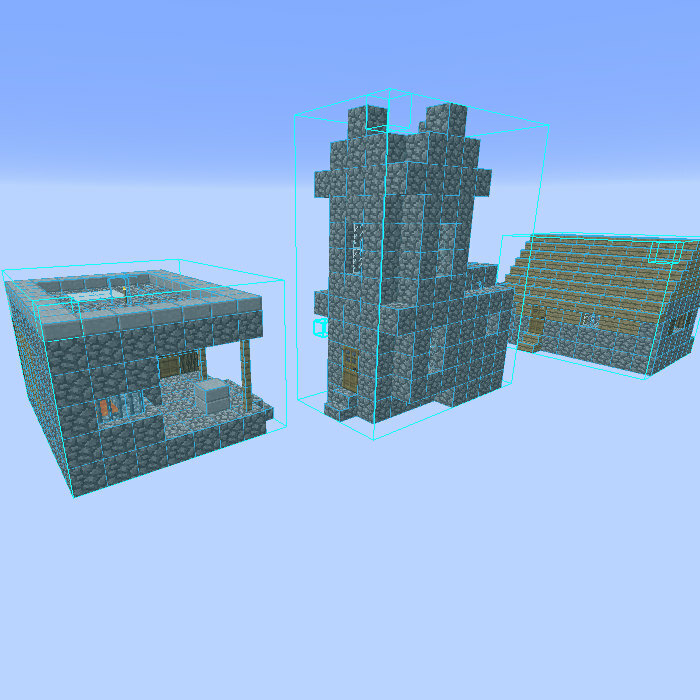 Not currently, the mod always looks in .minecraft/schematics. However you can create a filesystem symlink to point from .minecraft/schematics to wherever you want. One last thing. so there isn't an auto-fill feature yet? If you mean the Fill tool mode, it works in the later 1.12 development versions, but not yet in the current 1.13.2 version. It will be in the next 1.13.2 version after I have the time to finish all the remaining things I want in the next version and then port all of the new code over from 1.12 to 1.13.2 again. So I did get it working with the right versions, but I'm just wondering now, is there a way to rotate the schematic? If so, how so? In the Placement configuration GUI. You can get to that via the Schematic Placements menu, or using the hotkey to directly open the configuration GUI for the currently selected placement. The selected placement has the white border in the placement list/menu, if you have multiple placements you can just click on the one you want to select in the list, or use the tool item to (by default) middle click one in-world to select it.